Approaching the material from a chemistry and engineering perspective, High Performance Polymers presents the most reliable and current data available about state-of-the-art polymerization, fabrication, and application methods of high performance industrial polymers. Chapters are arranged according to the chemical constitution of the individual classes, beginning with main chain carbon-carbon polymers and leading to ether-containing, sulfur-containing, and so on. Each chapter follows an easily readable template, provides a brief overview and history of the polymer, and continues on to such sub-topics as monomers; polymerization and fabrication; properties; fabrication methods; special additives; applications; suppliers and commercial grades; safety; and environmental impact and recycling. 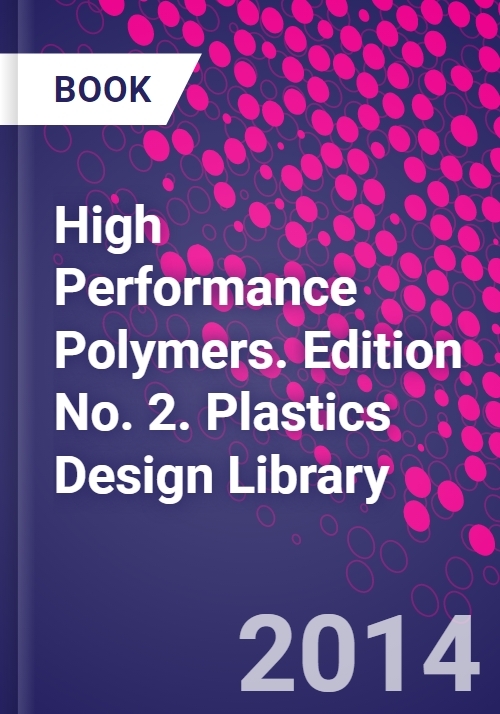 High Performance Polymers brings a wealth of up-to-date, high performance polymer data to you library, in a format that allows for either a fast fact-check or more detailed study. In this new edition the data has been fully updated to reflect all developments since 2008, particularly in the topics of monomers, synthesis of polymers, special polymer types, and fields of application.